Saint Louis University has become Missouri’s first institution of higher education to commit to matching all electricity used in student residence halls with renewable energy through Ameren Missouri’s Pure Power Program. 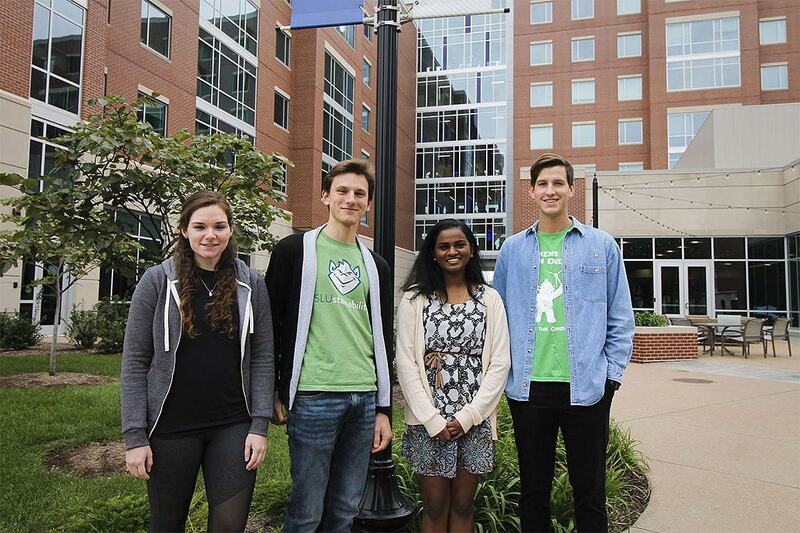 Four years in the making, the initiative was driven by students, led by Douglas Fritz, a senior who founded Green Billikens and co-chairs the Sustainability Committee for the Student Government Association. “We made it happen during our bicentennial year, creating a campaign around sustainability that focuses on making our campus greener for the next 100 years for future Billikens,” Fritz said. To match every unit of electricity used in residence halls, SLU is purchasing Renewable Energy Certificates for energy that is produced through Midwest wind farms. Inspired by Paris Climate Commitments, the Green Billikens student group sought to expand SLU’s renewable energy options beyond the nine solar installations on campus. The student group took action, guided by SLU’s mission and motivated towards preserving the environment for the next generation of Billikens. They sought engagement from administrators and student leaders and surveyed campus residents to confirm the strong support that would lead to the success of this initiative. About 60 percent of students in residence halls weighed in during two surveys, with 88 percent agreeing to tax themselves $20 a semester to reduce their carbon footprint. Fritz sees the purchase of Renewable Energy Certificates as an investment of the future of SLU as well as the greater St. Louis community. Revenue generated from Renewable Energy Certificates is used to develop energy from sources like wind and solar power to add to the power grid, decreasing reliance on energy from fossil fuels. "Pure Power is one of the many ways Ameren Missouri is providing affordable choices for customers who support, and want to grow, renewable energy in the Midwest," said Tom Thompson, supervisor of energy services at Ameren Missouri. Debra Pottinger, business development manager of the company contracted by Ameren to run the Pure Power Program, says during its first year of participation, SLU will create the demand for 8,004 megawatts of electricity to be generated by Midwest Wind Farms and be added to the Midwest power pool.